Despite the buzz about telemedicine, ER waiting rooms are still full of people who can’t see or easily communicate with doctors. Today, nearly two-thirds of Americans own smart phones1 and they believe technology, like that found in their phones, should empower them to interact with doctors remotely. Why not, right? Those with the most access to doctors – their friends and family – are already using their phones to text, call, or FaceTime when they have a question. Now the market is waiting on telemedicine to become the standard relational flow of communication so everyone can access a doctor the same way a physician’s loved ones do. Health care in the U.S. is a $4 trillion market driven by access to doctors and the physical resources required to host those physical visits. Despite the demand, there are just three fundamental ways an American can see a doctor: 1) make an appointment; 2) go to urgent care; or 3) go to the emergency room. None of these offers a particularly convenient customer experience. These systems are strained by overwhelming demand for services, but the cost of each facility prohibits building to accommodate that demand. So where does telemedicine fit as the business model evolves and doctors are paid to “own the life” rather than for each billable event? Doctors in this new model want to add value for patients in their covered populations without the cost or inconvenience of office visits, particularly when the same value can be conferred remotely. Their patients are hungry for more than just text reminders about upcoming appointments, and the ability to review raw lab data online. With most stakeholders understanding that doctors and patients can meet their objectives in over half of all in-office visits without actually being in the office (follow-ups, refills, results review, etc. ), the obstacle isn’t the will of those stakeholders, it’s the economic model which insists on the visit happening in order for the doctor to be paid. The other stumbling block is that there aren’t fantastic business, technical or clinically reliable alternatives for doctors to reassure patients remotely or to treat them outside of the brick and mortar facility. This is largely because the current offerings don’t have a guarantee that a trusted physician can be reached directly if the patient’s condition changes or if they have questions. Telemedicine isn’t new. It began with facility-based terminals connecting rural clinics to urban centers for provider-to-provider consultations. In version 2.0, individuals could purchase one-time phone or video conversations with unaffiliated doctors. To date, four dominant national telemedicine companies have delivered this type of service (2.0) using the same physician staffing model into a hungry market. For a fee, a doctor of some kind will log into a queue that pairs him or her with patients who have a particular complaint. The doctor will agree to call that paying (or paid for) customer and conduct a brief phone discussion that may or may not result in some advice, or even a prescription. Visit over, make sure you call your regular doctor for follow-up. This form of telemedicine has served some purpose, and as the only offering currently available en masse, is being adopted in droves by insurers and self-insured employers with hopes of mitigating even a fraction of medical costs. If some ROI has been achieved by these services, and even if good advice or prescriptions are being dispensed, the workflows, fee structures, and lack of relational access have made re-utilization after an initial encounter too low to measure, making it a near certainty that these models will not break through the ceiling into mainstream medicine. Furthermore, these one-off consultation services are creating disparate data silos that will never be integrated back to a patient’s medical home, a workflow misaligned with the need for improved continuity of care. For decades, doctors have been treating their own friends and family via the phone, text and sometimes video. 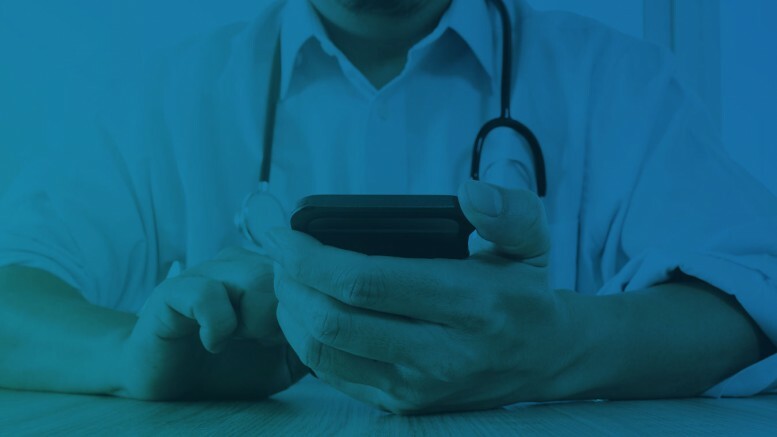 Learning from this, many physicians offer their personal phone numbers to patients simply for efficiency’s sake, and for the reassurance that their plan of care has the backing of guaranteed follow up access. But the fee-for-service model gets in the way of telemedicine really taking hold, forcing patients to continue traveling to the doctors’ office. Enter the new health economic model: value based care. For many Americans, the Affordable Care Act established an era of care in which physicians and health systems are now financially motivated to treat patients without requiring them to come in to see a doctor if the physician can help remotely. With this shift in the way doctors and hospitals are compensated by insurance, for the first time, the one-on-one visit that doesn’t happen in-person, is now profitable for the doctor. Doctor’s are now encouraged to keep in closer touch with patients and are searching for technological solutions to help them with this, setting the stage for telemedicine 3.0. The next generation concept of virtual care encourages an integrated model that aligns local physicians with health systems and payers to offer patients direct, on-demand, and continual access to the doctor. At the same time physicians are both technologically and economically encouraged to deliver value at a fraction of the cost of seeing patients in their office. This level of convenience, ongoing access and communication with doctors, along with bi-directional transparency into medical records represents the level of service the empowered healthcare consumer will soon demand of their health plan. The secret to real virtual care is providing meaningful, efficient, direct access to doctors who have the ability to affect the patient’s course of care and to stay in touch over the course of an illness, or for life. The company or system that writes the recipe for effective, tech-enabled, ongoing access for the better practice of modern medicine will fill the need the market is desperately waiting for – the ability for the patient to engage with their doctor from the convenience of home, or anywhere.